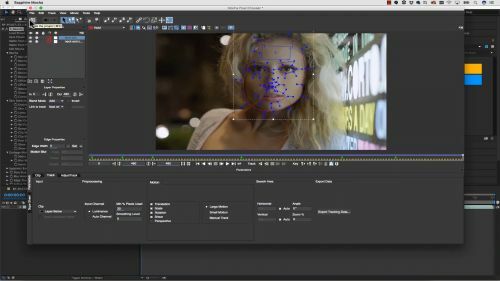 The Academy Award-winning Mocha planar tracking and masking engine is now integrated directly inside Sapphire effects allowing artists and editors to do more advanced effects work without ever leaving their composition or timeline. 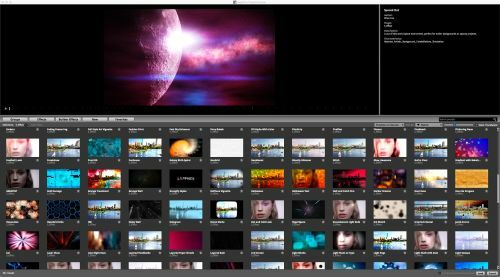 Available for Adobe After Effects, Adobe Premiere, Avid Media Composer, Autodesk Flame, Blackmagic Resolve Studio, and Nuke by The Foundry, Sapphire 11 adds new and exciting functionality never before seen in the long and storied history of the award-winning VFX plug-ins. With Mocha’s legendary toolset of award-winning masking and tracking tools available right within Sapphire, editors and artist no longer need to navigate the cumbersome and unintuitive workflows provided by editing and compositing applications. Utilize the power of planar tracking when building effects and focus more time on creating rather than key framing. With Sapphire 11, creating a complex effect like blurring a face or logo, tracking a lens flare to a hotspot, or performing selective color correction is simplified down to one simple and easy step. Once you start working with Sapphire 11 and integrated mocha planar tracking, you will wonder how you ever lived without it. The integration of Mocha inside of Sapphire is an extremely powerful and deep application. Simple isolation of effects is possible, all the way up to multi-layered rotoscoping. Continuing the longstanding tradition of Sapphire presets being cross-host compatible, Sapphire 11 adds mocha masks saved with effect presets to this capability. Any preset that utilizes a mocha mask can be saved and re-opened with an identical look in any of our supported host applications. This is especially useful in offline to online workflows, i.e. Avid Media Composer / Adobe Premiere to Davinci Resolve. Want to get up and running with Mocha in Sapphire ASAP? 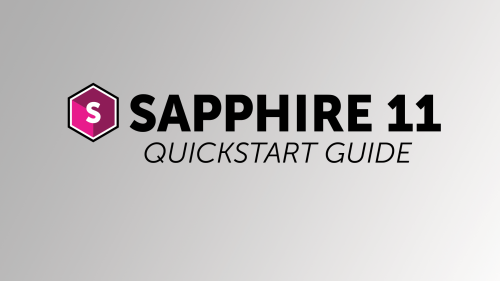 Then check out this Mocha in Sapphire Quick Start Guide to jumpstart your effects work with integrated Mocha tracking and masking, right inside Sapphire! Start off your Sapphire in Mocha training with a quick introductory tutorial by Mocha Product Specialist Mary Poplin as she explains how to harness the power of Mocha combined with Sapphire. Mary will get you up and running in a couple minutes, and walk you through the basic Mocha interface and explain how Mocha works to achieve its “magic”. Continue your Mocha in Sapphire education with this video aimed at taking users from a basic comprehension level to a power user. Learn how to rotoscope, use hold out mattes, and other advanced techniques. The final level in our introductory Mocha in Sapphire training course, this video aims to put all your skills together to achieve a classic visual effect, the witness protection blurred face effect. 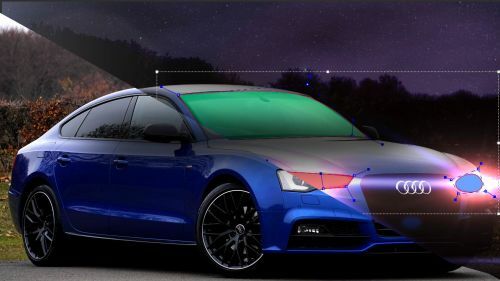 Mocha Product Specialist Mary Poplin shows off some advanced tips and tricks and will open your mind to the endless possibilities that can be achieved when Mocha planar tracking is combined with Sapphire VFX.